VIDEO: Blac Chyna uploads video of baby birth on instagram... see baby's pics. 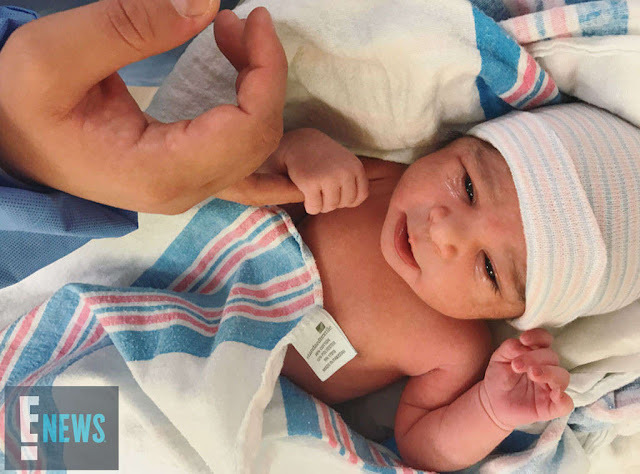 The exclusive pic shows Rob and Chyna's newborn daughter lying in a blanket with a blue and pink beanie on. Little Dream gently holds on to a hand, which appears to belong to papa Rob. The newborn looks peaceful as she stares up at her dad with her dark, piercing eyes. Blac Chyna didn't hesitate to upload birth video on Instagram... see Instagram video below.